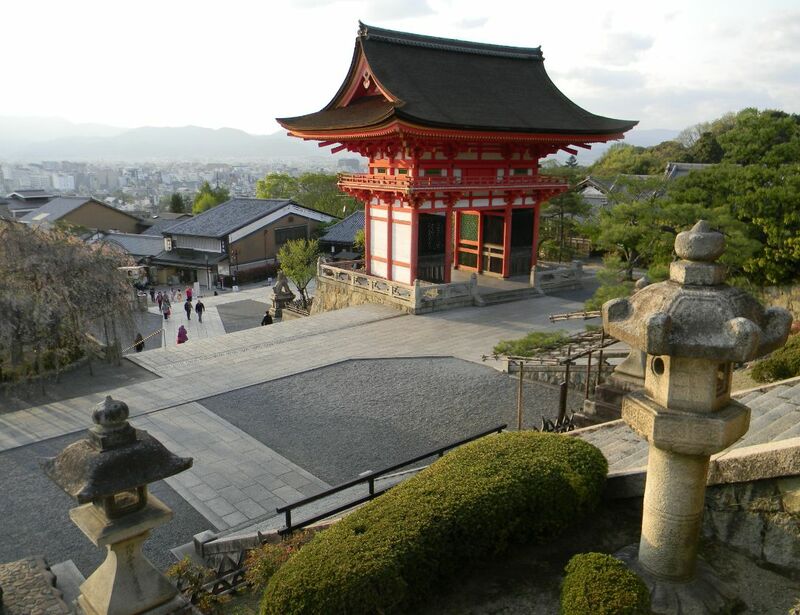 Recently the BBC Philharmonic Orchestra went on a very special tour to Japan. Two years ago, during an earlier tour, they were travelling across a suspension bridge in Tokyo when a huge earthquake struck 70 km off the northeast coast of the country. 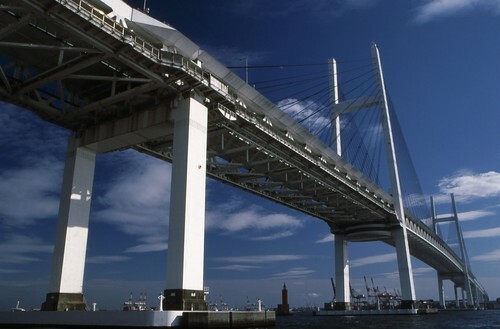 The bridge began bucking and weaving, lamp posts were waving like daffodils and the musicians’ tour bus felt as though it would plummet 1,000 feet into Yokohama Bay. Luckily, Japanese structures are built to withstand frequent earthquakes, so the bridge held and the musicians were able to reach Tokyo. 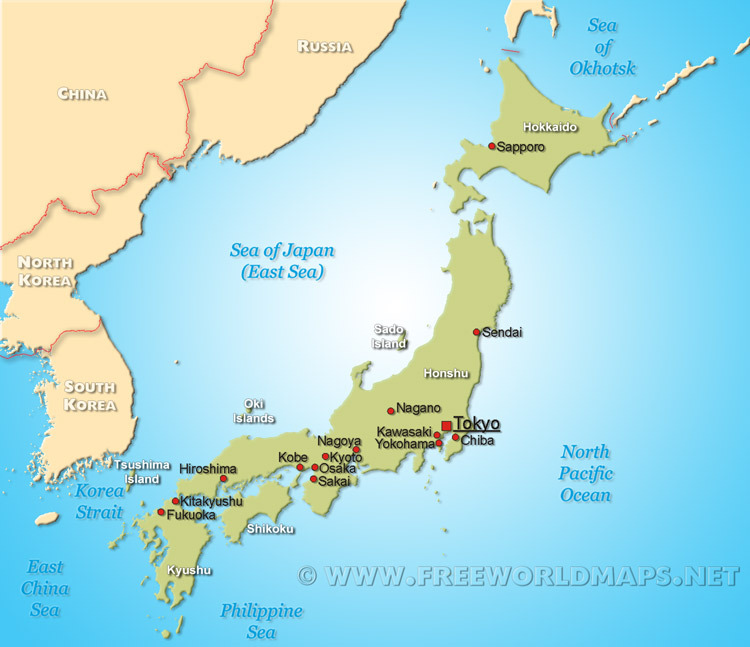 Soon after, an enormous tsunami hit the northeast of the country and washed away many thousands of buildings, killing over 15,000 people. Given the enormity of this disaster, the BBC orchestra had no choice but to end their concert tour and return home, but many felt guilty, as though they were abandoning the Japanese to their fate. The organisers agreed that as soon as it was practical, the orchestra would return to Japan to repeat the tour and play the unfinished concerts. 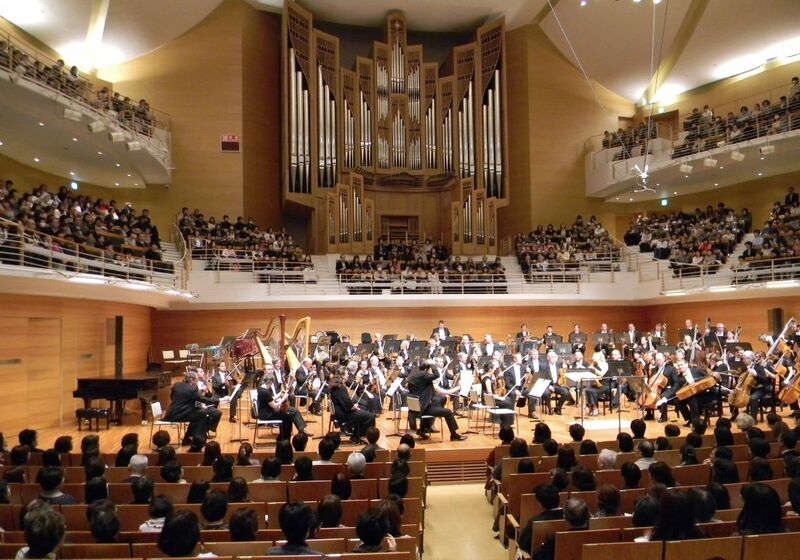 In the spring of 2013, almost exactly two years after the disaster, the orchestra returned to Japan to sellout audiences in Niigata, Osaka, Tokyo and six other cities. Going back was frightening for the musicians as they had to travel around the country in coaches, just as they had during the previous tour. But despite their fears, the orchestra felt strongly that they wanted to give something back to the people of Japan who were so welcoming, and to pay tribute to all those who had lost their lives. The guest solo artist, 24-year-old pianist Nobuyuki Tsujii, took part in this tour as he had two years before. Among other pieces, he played the Tchaikovsky symphony shown in this video from 2010. Nobuyuki is remarkably talented and hugely popular in Japan. He was born blind but has been playing piano since he was two! He can pick up very complex music on hearing it only once, and is able to play absolutely anything. Here is a video of him learning a new piece at the age of eleven: Nobuyuki’s piano lesson. What a lucky teacher to have a student like him! While the orchestra were touring this time, they had a chance to see some beautiful scenery in Japan. 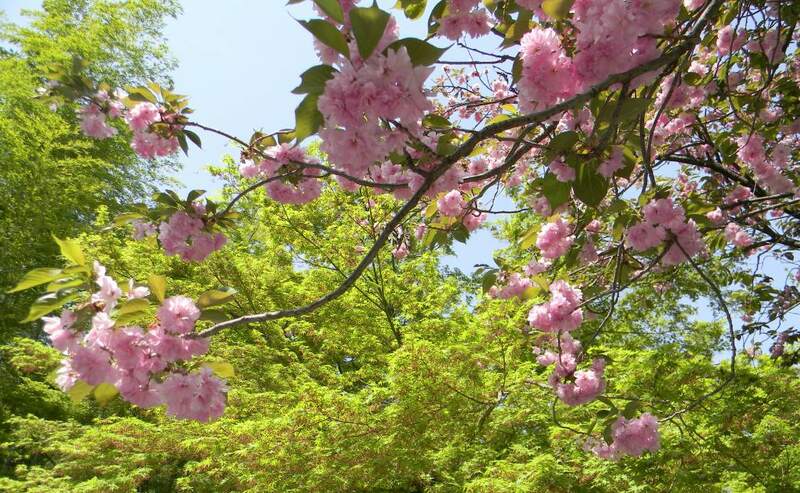 Spring blossoms had begun to bloom, and they visited temples and gardens and traditional Japanese houses. This historic Japanese house in Niigata (now a museum open to the public) once belonged to a wealthy landowner. It has sliding panel doors made of wood and paper. 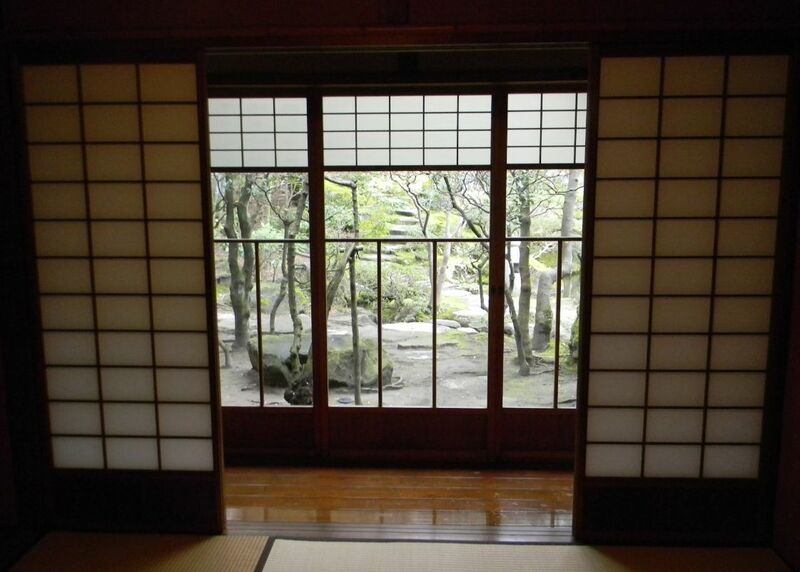 The floors are polished wood and there are many windows looking out onto the garden. 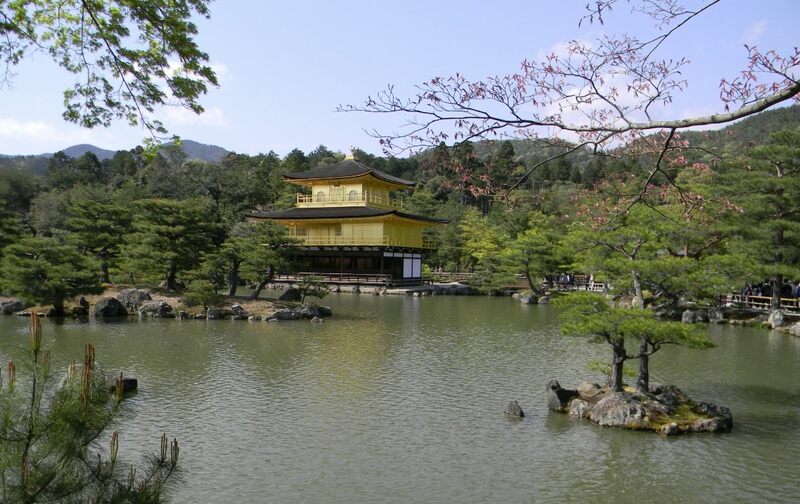 The golden Zen temple below is Kinkakuji in Kyoto, and it was originally built in the 1400s. It has been destroyed by fire and rebuilt several times over the centuries, and the current temple, whose top two floors are covered in gold leaf, was built in 1955. It nestles amongst the pines beside an ornamental lake. 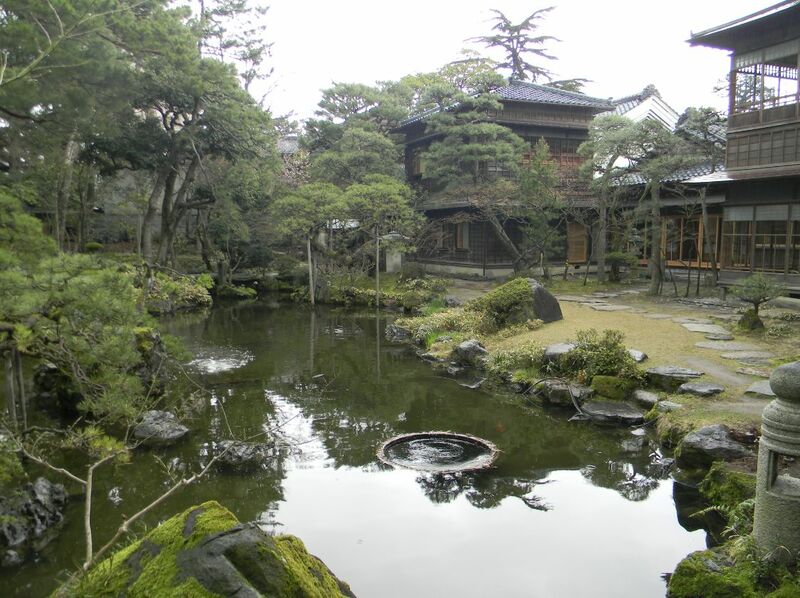 These images of temples, calm water and fir trees are so peaceful and beautiful that it’s hard to believe they are taken within a major city. 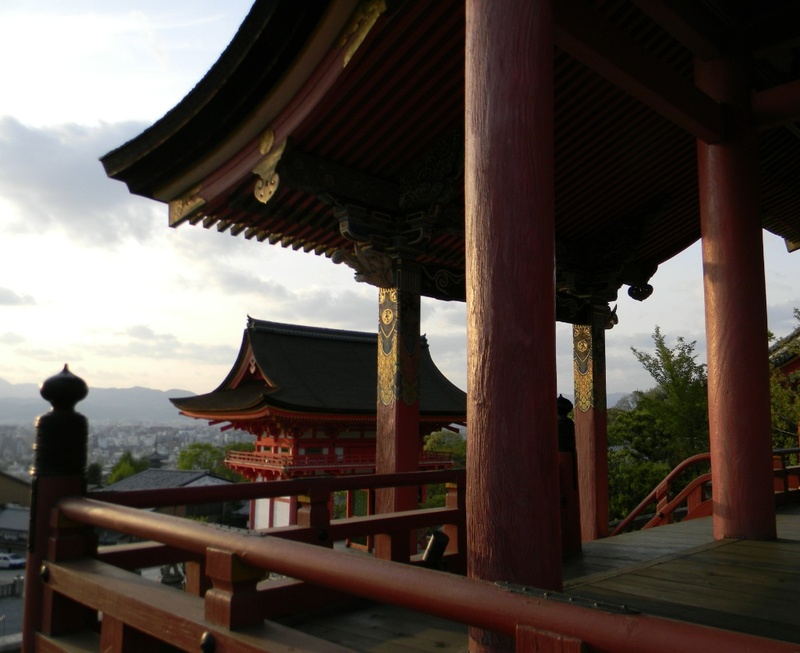 In fact, Kinkakuji is only one of dozens of temples to be found on the outskirts of Kyoto. The other image that springs to mind when we think of Japan is the shiny mega-city with its cutting-edge technology and modern architecture. High-speed trains connect the major cities, and gleaming highrise buildings reflect populations in the millions. 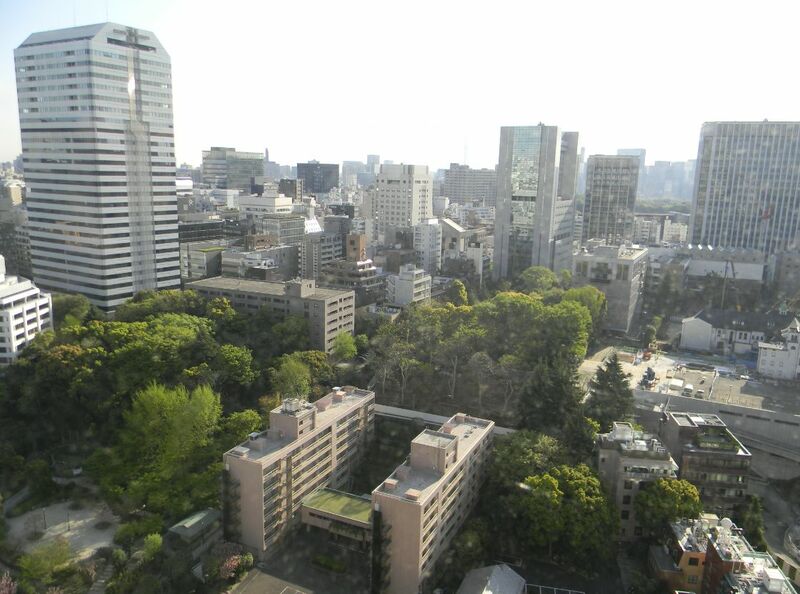 This is Osaka, Japan’s third-largest city. 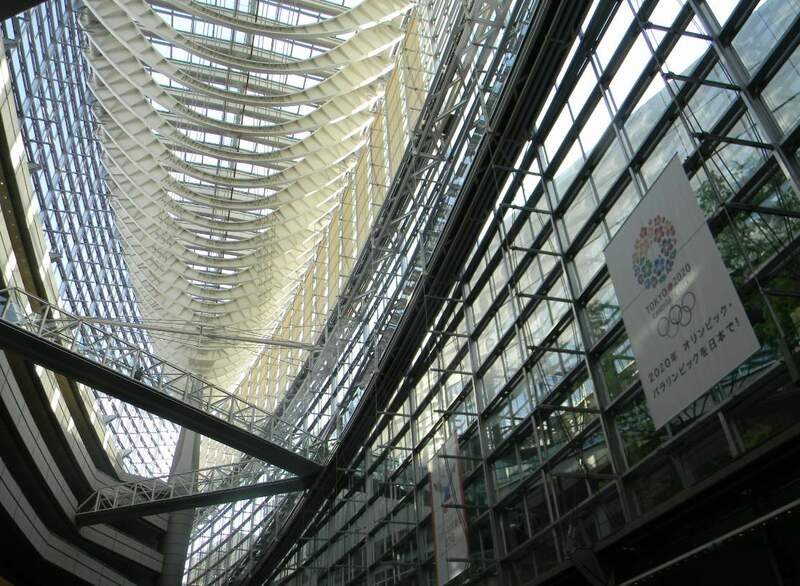 Although there are some historic shrines and temples and a reconstructed castle, Osaka is largely ultra-modern. 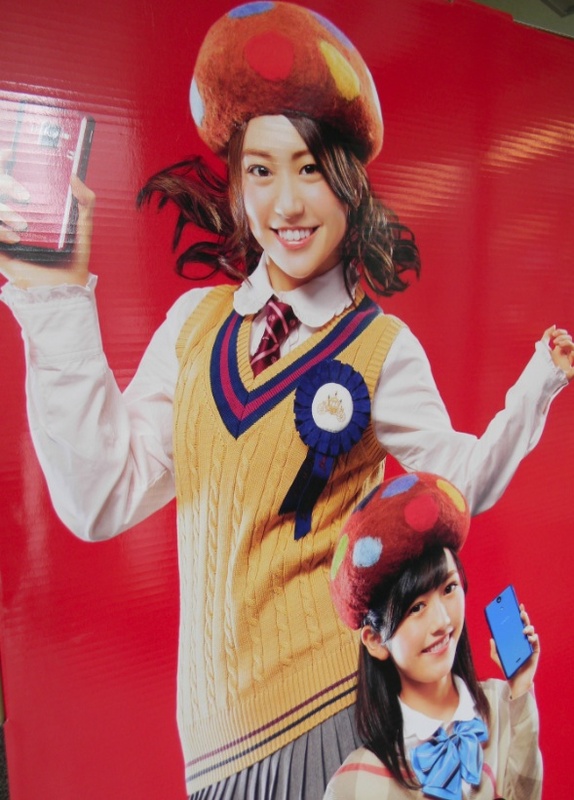 Tokyo, too, is full of amazing sights. 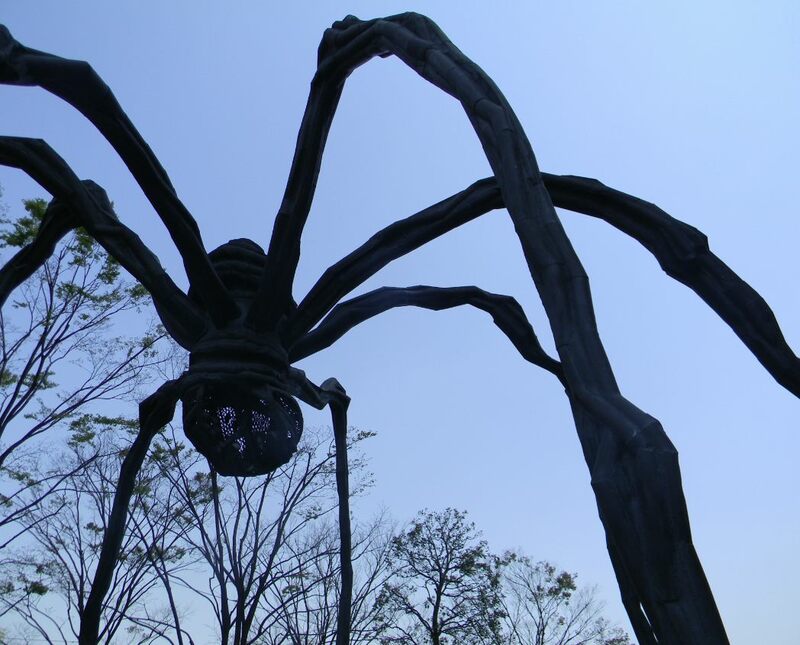 From the giant spider sculpture at Roppongi Tower to bright posters advertising spotty mushroom hats, it is a city with a surprise around every corner! My husband Mark went to Japan with the BBC Philharmonic Orchestra and made a radio programme all about their experiences. To listen to the programme, click BBC Radio 4 Return to Japan.